GENERAL INFORMATION: The President’s Pistol Match, first fired in 1981, is a National Trophy Pistol Match. The President’s Rifle and Pistol Matches have become especially prestigious because match winners have traditionally received letters of congratulations from the President of the United States. President Theodore Roosevelt began this tradition for the President’s Rifle Match in 1904. This tradition of recognition was extended to include the President’s Pistol Match. 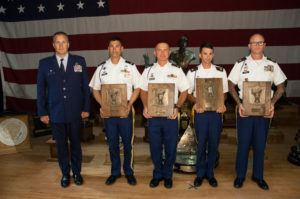 Recent U.S. Presidents, including Presidents Clinton and Bush, have continued the tradition by providing letters of congratulations to the winners of both the President’s Pistol and Rifle Matches. COURSE OF FIRE: The President’s Pistol Match Course of Fire (CMP Pistol Competition Rules) will be used. 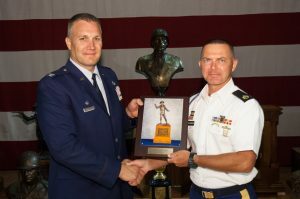 Competitors fire 20 shots slow-fire at 50 yards firing two strings at 10 minutes per string, 10 shots timed-fire at 25 yards firing two 5 shot strings in 20 seconds per string and 10 shots rapid-fire at 25 yards firing two 5 shot strings in 10 seconds per string. Juniors who compete for Junior awards must fire the same course of fire with .22 cal. Standard Smallbore Pistol. SQUADDING: Competitors’ squadding will be drawn and issued when they check-in at the National Matches Welcome Center. PISTOLS: Service pistols that comply with CMP Pistol Competition Rules, Rules 4.1 must be used. Juniors who compete for junior awards must fire Standard Smallbore Pistols that comply with Rule 4.1.6. AMMUNITION: Any safe ammunition may be used in accordance with CMP Pistol Competition Rules, Rule 4.3.1. 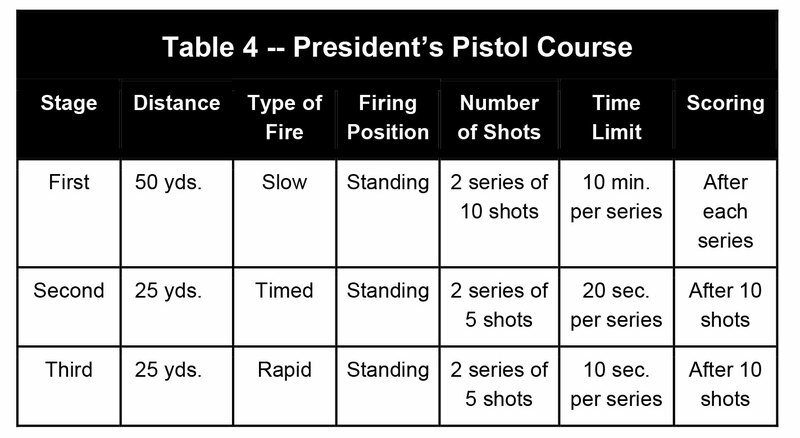 OTHER RULES: Specific rules governing the conduct of the President’s Pistol Match are found in the CMP Pistol Competition Rules (see especially Rule 5.2). Junior competitors firing .22 Pistols only in the President’s Junior Pistol Match, the ready position for timed and rapid-fire stages is with the loaded pistol pointed down at a 45° angle. If the bench in front of the shooter is too high to allow a 45° angle ready position, the ready position is with the loaded pistol lowered as far as possible without contacting the bench (must not rest on the bench). (See CMP Service Rule 5.1.1). 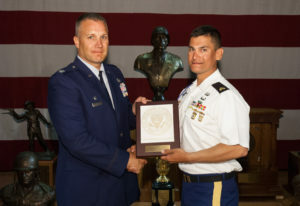 AWARDS: The winner of the President’s Pistol Match receives the President’s Pistol Trophy (the competitor receives a trophy plaque and his/her name is permanently engraved on the trophy; the trophy is retained by the CMP on permanent display at Camp Perry) and a President’s Pistol Match medallion. 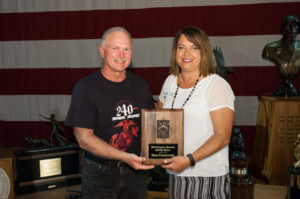 The top 100 competitors in the President’s Pistol Match are designated as the “President’s Hundred” and receive President’s Pistol Match medallions and certificates. The high junior who fires a .22 cal. 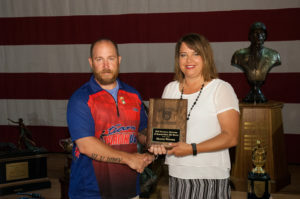 smallbore pistol in the President’s Pistol Match receives a trophy plaque. ENTRY FEES: $40.00 for adults, $20.00 for juniors. The CMP .22 Rimfire Pistol EIC Match will be an EIC Pistol Match. The top 10% of eligible competitors, who score above the minimum credit score, will earn 10 points towards their .22 Rimfire Pistol Badge. The M9 Pistol EIC Match is conducted in conjunction with the Pistol Small Arms Firing School. This match is designed to introduce shooters to service pistol shooting with the current M9 service pistol and encourages them to start working towards earning the prestigious Distinguished Pistol Shot Badge. The National Trophy Individual Pistol Match (NTI) is a National Trophy Pistol Match. It was first fired in 1904, the second year of the National Matches, and has become one of the most prestigious National Trophy Pistol events. 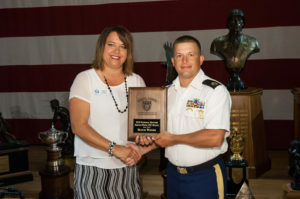 The NTI is also an Excellence-in-Competition match where the top 10% of all eligible Non-Distinguished competitors, military and civilian, earn EIC credit points. Date & Time: Sunday, 12 July. Firing begins immediately after the President’s Pistol Match is completed. The National Trophy Pistol Team Match (NTT) is a National Trophy Match. It was first fired in 1920 when competition for the Gold Cup team trophy began. The President’s Pistol Match, first fired in 1981, is a National Trophy Pistol Match. The President’s Rifle and Pistol Matches have become especially prestigious because match winners have traditionally received letters of congratulations from the President of the United States. The CMP Service Pistol EIC Match will be a regular EIC Pistol Match. The top 10% of eligible competitors, who score above the minimum credit score, will have a chance to earn EIC Credit Points.